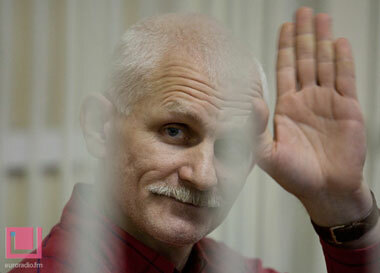 According to the latest information political prisoner, is now in Miensk prison on Vladarski street. He will be sent to Babruisk colony No. 2 in Tuesday, February 21, 2012. According to Andrei Bandarenka, head of the Platrforma NGO and former inmate of the Babruisk colony, the facility is one of the best Belarusian prisons. “There are much worse places. The pressure on Andrei Sannikau shows that the colony’s head is a typical “man of the system” capable of executing every order. It is essential for the administration of Babruisk colony to force prisoners to sign a written undertaking of proper behaviour. In case someone refused to sign it, he may face certain troubles, including the punishment cell or degrading labour”, says Mr. Bandarenka.